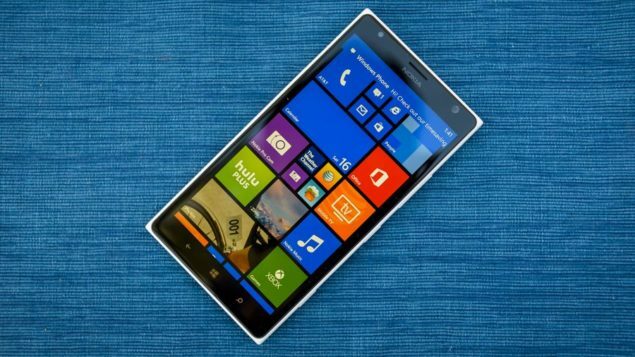 After pushing out a few cumulative updates to Windows 10 Mobile Insiders on the Slow and Release rings, Microsoft is finally sending updates to those on the Fast ring. Windows 10 Mobile Insider Preview Build 14283 brings the following improvements to the mobile operating system. Improvements to the Phone app: We know how important it is to stay informed when someone is trying to reach you, whether that’s through notifications, Live tiles on your Start screen, or directly within your communications applications. To help with this, we’ve added missed call and voicemail waiting indicators to the tabs inside the Phone app. Once you navigate to a tab with a missed call or voicemail – the indicator goes away. We’ve got another change coming that will keep the indicator in place until you navigate away from the tab. There is also a bug where you might not see the indicator clear right away – a fix is coming soon for this as well. Let us know what you think! Updates to Outlook Mail & Calendar: Yesterday, we released an update to the Outlook Mail & Calendar apps that introduces some new features and improvements. In Outlook Mail, you can turn off the message preview text in the message list (Settings > Reading > Conversation and turning “Show preview text” off). You can also quickly get rid of junk email in your inbox by pressing down on a message to bring up the context menu and choosing ‘Move to Junk’. In Outlook Calendar, you can now let others know “I’ll be late” directly from meeting notifications. Coming Soon – the Feedback Hub: When you open Insider Hub on this build, you will see a new welcome dialog for Feedback Hub. Coming in the next mobile and PC build – we are bringing together the Insider Hub and Windows Feedback apps into a single app called the Feedback Hub. The Feedback Hub carries over all of the best things from the previous two apps plus some new things Insiders will enjoy. For example, in addition to upvoting feedback, you will be able to also leave comments on feedback. We have also redesigned the homepage in Feedback Hub to bring together announcements and quests. Stay tuned as we’ll have more to say about the Feedback Hub with the next builds for mobile and PC when the app is ready for Insiders to use. We have updated the Bluetooth AVRCP profile on mobile to version 1.5. Some cars only tell Windows what they support and vice versa during the initial pairing ceremony. In order for this update to take full effect, you need to delete your existing Bluetooth pairing with your car and then re-pair. After doing so, if you notice any issues using media playback controls or missing artist or track info, please file a new feedback item including your car’s make, model, and year. To learn more about what is fixed in this latest Windows 10 Mobile Redstone update sent out to the Fast ring, please check the official blog post published by Microsoft’s Gabe Aul.